Total Length: Approx. 10.3 Inch/26 cm. A great grip is the start of a great swing. Makes you feel what it is like to hold the golf club just like the best players in the world do. Built-in guides guarantee to put your hands on the club Pro perfectly. Training grip provides the correct hand position. A great tool to improve your fundamentals. This Training Grip Golf Swing is to be used as a training tool to help players feel or hands must be on the golf club. 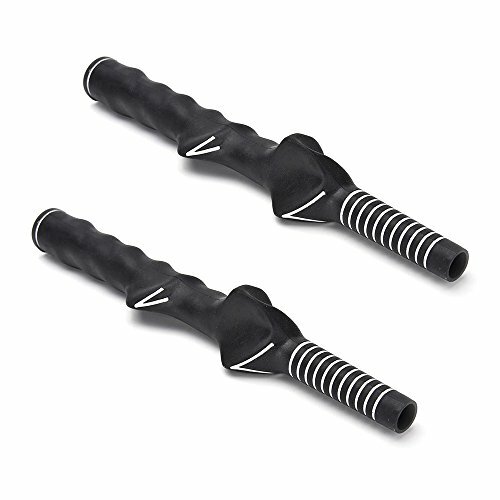 Training grip designed for right-handed golf swing training. Provides proper hand and finger placement for a correct grip. The help of the grip to hit the ball with power, accuracy or consistency.